We have had a bit of a crazy couple of weeks. I find it is always good to give myself some mommy time when life gets chaotic--especially mommy time with Jesus. Today I am going to share two devotionals and a novel with you!! 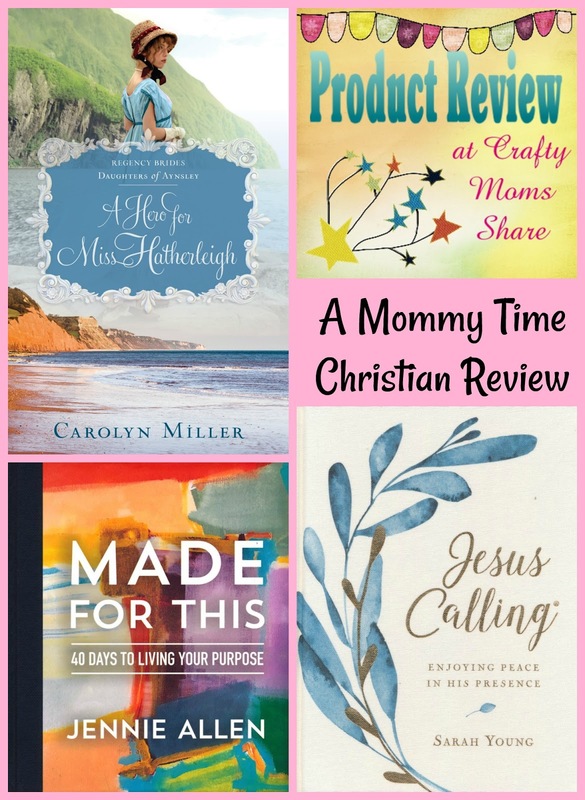 These are perfect books to help you find some mommy time. Let's start with the new novel. 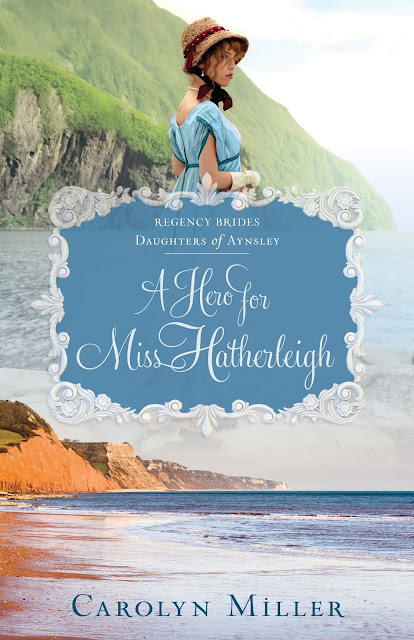 It is A Hero for Miss Hatherleigh by Carolyn Miller and is the first in the Regency Brides Daughters of Aynsley series. In this novel we are in Regency England. The eldest daughter of Viscount Aynsley is Caroline Hatherleigh. She is sent to her grandmother's estate in south Devonshire due to a neighbor's scandal--a neighbor that she is very close to and could have gossipers pull her into the scandal. She is lonely and bored at her grandmother's estate. Her grandmother is cold and unwelcoming. However she meets the Kirbys and life begins to change. Gideon Kirby loves science and is searching the shore for fossils and he is protecting his ill sister, Emma. But they have a secret and it cannot get out or Emma will be in danger. Then there is the attraction between Gideon and Caroline which neither have ever felt previously. Of course it is the Regency period and Miss Hatherleigh is the daughter of a wealthy viscount so there is protocol to behavior and etiquette to follow, but Miss Hatherleigh is not sure she wants to be the proper lady all the time. This book pulls you in and makes you want to continue reading. It is the perfect novel to get lost in. Gideon and Emma are the children of a minister so God and church are important to them. Caroline goes with her grandmother to church more to get out of the house, but it is there that she first meets the Kirbys. Throughout the novel God is pulled in and the story has unexpected twists and turns. I find it to be a bit of a page turner once I got into the story. As Miller is introducing the characters and the story it is a bit slow, but gets much more interesting and gives a look into another time and way of life. I recommend it for a fun read. 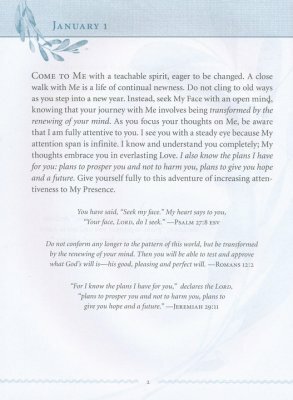 I have fallen love with Sarah Young's Jesus Calling series. 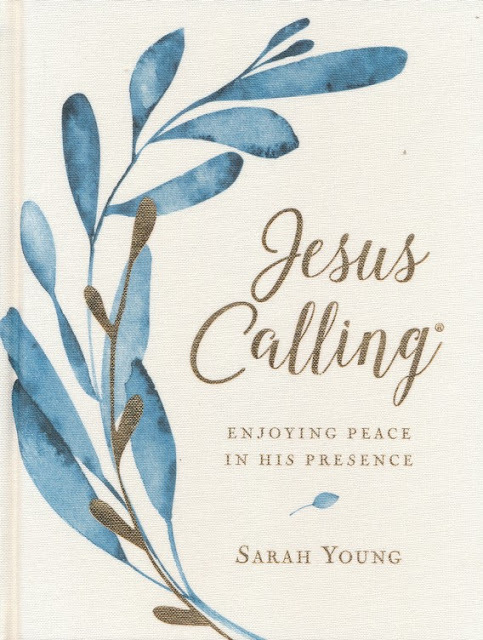 The original, Jesus Calling: Enjoying Peace in His Presence is available in a new large print edition. Now we are not getting any younger and neither are our eyes. If you are like me you have added reading glasses to your needs. I love having this large print edition to help my tired eyes and be able to read the amazing messages daily with or without my glasses. I love the intimacy this book portrays by speaking from the voice of Jesus. It always catches me in ways that seem so personal and relevant to that day. It is like Young is in my head and knowing exactly what I need to read on each day of the year. It is powerful and helps put my remembrance back to Jesus and handing over my issues and problems to Him. Now I have read reviews that felt that no human had the right to write in His voice, but I disagree. I think it is so helpful to be able to read something so loving in His voice. It sparks the intimacy and makes me want to spend more time alone praying, reading the Bible and devotionals and knowing I am with God. This is such a wonderful way to start the day and keep your focus for each day. What is your purpose? Why did God create you for this time and life? What does God want you to accomplish in your life? 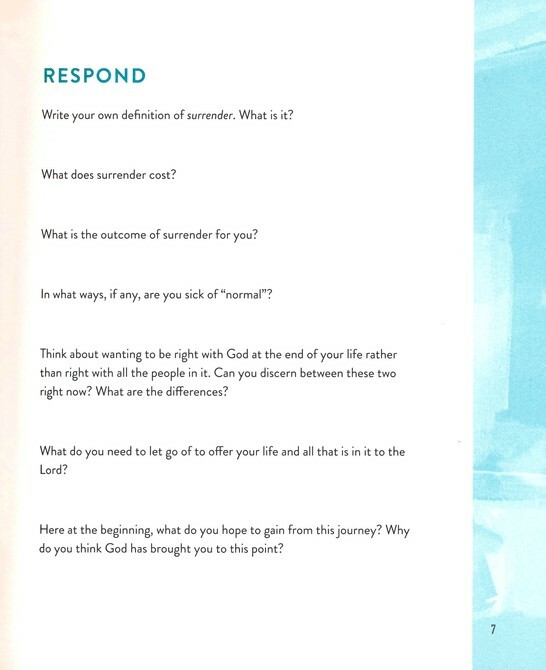 Have you ever considered these questions? Jennie Allen has as well as the question of what she is willing to do for God. 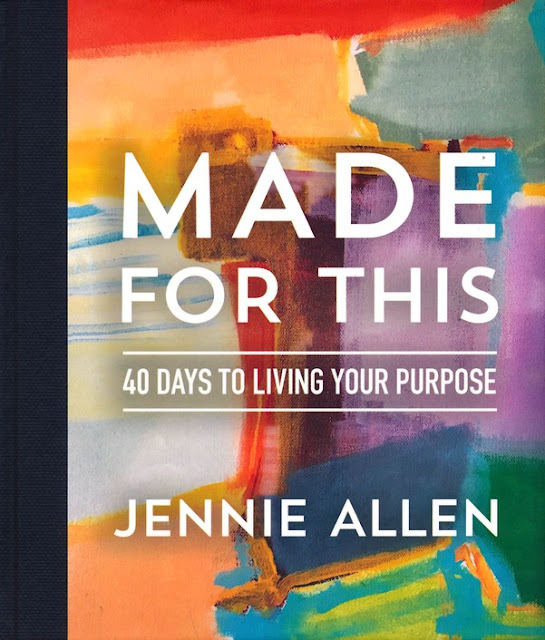 In Made for This: 40 Day to Living Your Purpose Jennie Allen takes the reader on the journey of a lifetime. It is the journey to discover what is your purpose as God sees it and what are you truly willing to do for God. It is a 40-day journey similar to our 40-day Lent. But it is a hard 40 days. Days of really thinking and breaking down some of your own walls. It will take you out of your comfort zone and get you to realize your true calling. 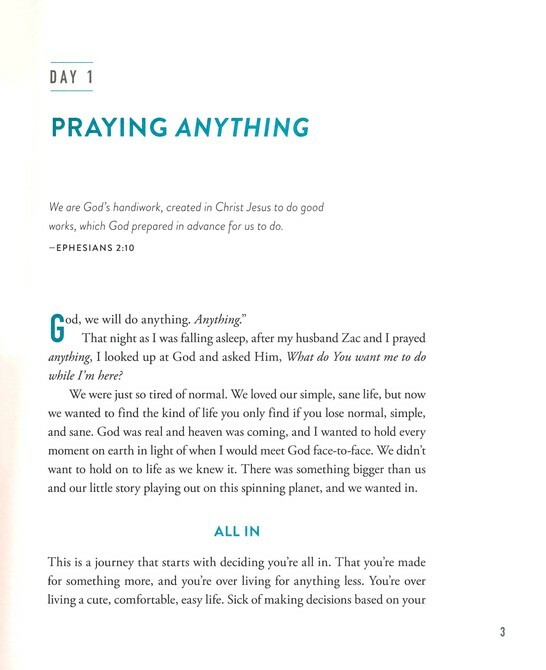 After all as a Christian we say will do anything for God, but what does that really mean. Allen shares from her own journey what that meant and how to do it. She uses her writing to take the reader on her own journey as she has at retreats and other occasions. She warns how hard it will be but also promises how rewarding it will be. Are you ready to find your true purpose? Each day's reading starts with scripture followed by her lesson of the day. It shares her journey as well as other women's and forces you to look at your own life. The reading is several pages long and then there is a Response page. This page forces you to really think about your life and how you feel about the reading. It is about how it affects your life. Then there is a Read & Reflect page. 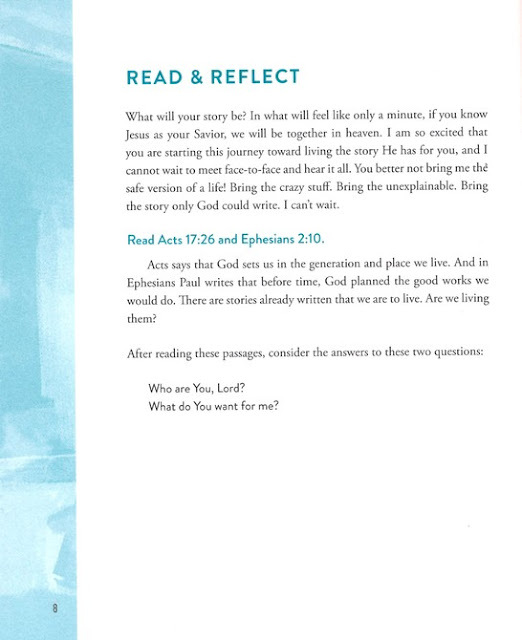 This page takes you to the Bible and has you reflect on the Bible reading as well as the day's reading and all if it in your own life. There are some days that do not follow this pattern, but this is how most are. It is such a powerful book and it will help you truly discover your path. Are you ready for the journey? Are you ready to say, "Yes!" to God? Allen will lead you along the way. I hope you will find some time for yourself today and check out these books. They are moving and help restore you. Have a great day!